A United Nations report condemning entrenched poverty in the United States is a ‘‘misleading and politically motivated’’ document about ‘‘the wealthiest and freest country in the world,’’ the Trump administration’s top U.N. official said. U.N. ambassador Nikki Haley criticized the report for critiquing the United States’ treatment of its poor, arguing that the United Nations should instead focus on poverty in developing countries such as Burundi and Congo Republic. The U.N. report also faulted the Trump administration for pursuing policies it said would exacerbate U.S. poverty. 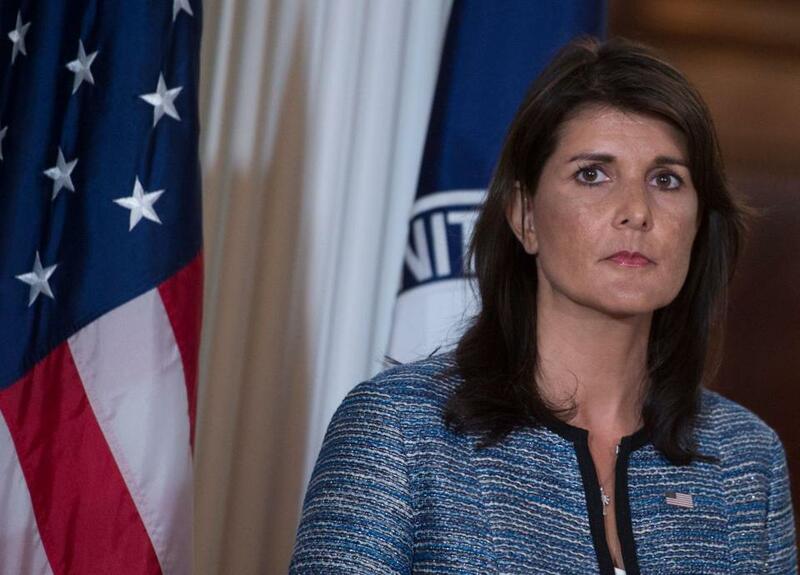 The rebuke comes two days after Haley announced the United States’ resignation from the U.N. Human Rights Council over that body’s perceived bias against Israel and toleration of human rights abusers. ‘‘The policies pursued over the past year seem deliberately designed to remove basic protections from the poorest, punish those who are not in employment and make even basic health care into a privilege,’’ Alston wrote in the report. Haley pushed back in Thursday’s letter, arguing that the administration had created a strong economy that would lift people out of poverty and that Alston’s report was premised on misleading statistics. Haley said the U.N. special rapporteur had ‘‘categorically misstated’’ the progress America had made reducing poverty, but she gave no examples.